This entry was posted in beauty blog, beauty blogger, Makeup, Makeup of the Day and tagged beauty, beauty blog, mad hatter lipstick, makeup, makeup blog, purple lipstick, purple makeup, urban decay, urban decay alice, urban decay eyeshadow, urban decay lipstick, urban decay spectrum, urban decay vice by Rachel. Bookmark the permalink. I like the look– & that blush is awesome. UD first came out when I was a nanny by day (lip balm & natural look makeup) and at night, I wore black or red lips only(old-school punk). I thought (gasp!) that the brand was sorta pretentious– had no idea they came from good Goth-loving visionaries. So I’ve never tried their products until recently. 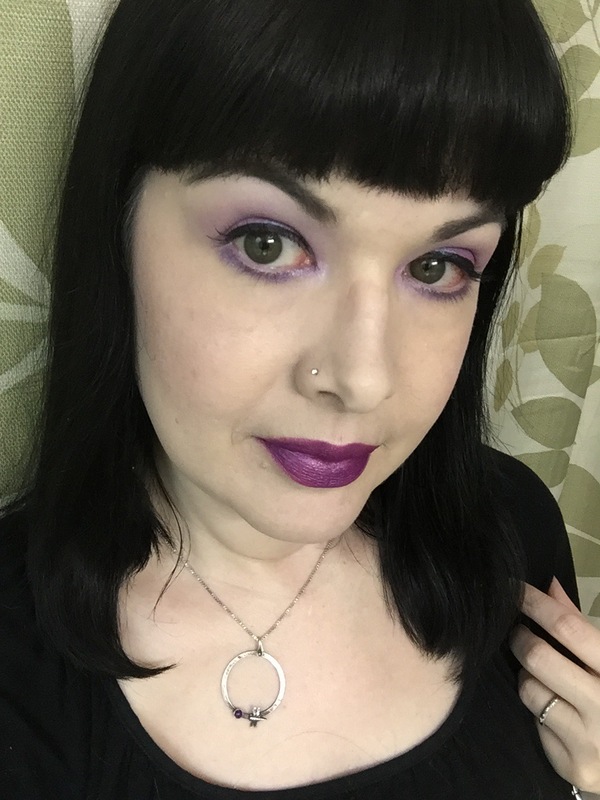 Loving the new Vice line of lippies… Pandemonium (mega matte finish in a deep & bright purple) seems like one you’d enjoy. A neat little 24-dot sample pack from Sephora has me flipping over all the colors, so the UD lipsticks are, for now, my fave of theirs. 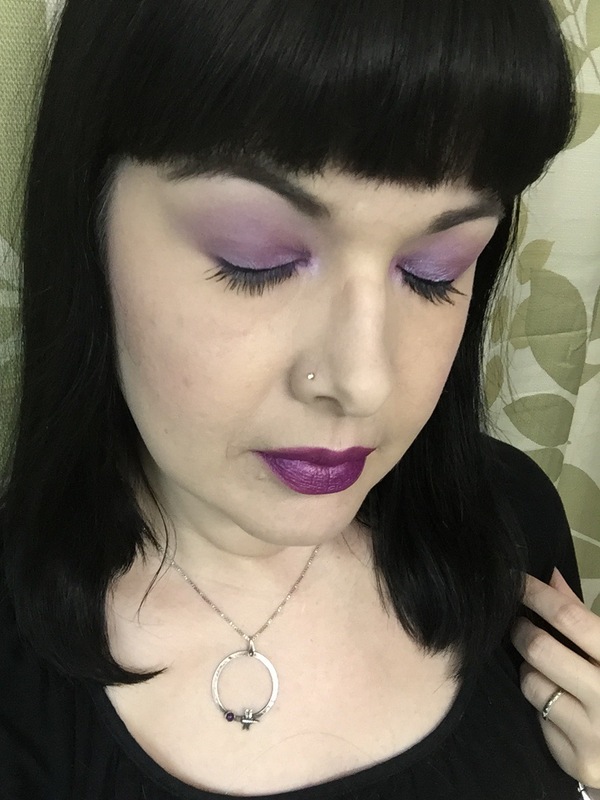 I hear you about the foundation– I’m liking the tone of Guerlain’s Lingerie de Peau, which has some paler shades. But it’s all about the undertones, isn’t it? BM’s Tinted Rescue Gel Cream is my current daily, though, in Opal. Very sheer but buildable. I recently got Pandemonium and I love it so much!